On Thursday I did some further southward explorations, this time starting at the Rutlader Outpost near Louisburg, KS. 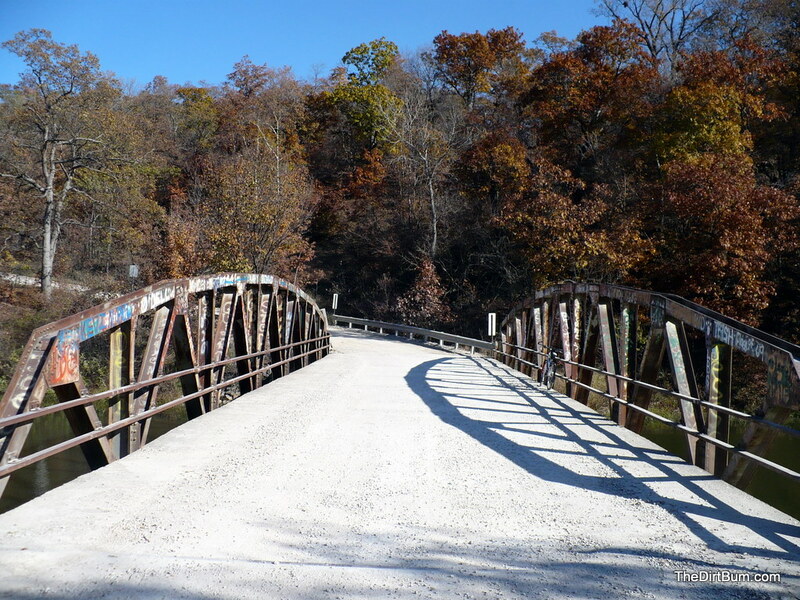 My route took me east to Cold Creek Road, then south to Drexel, then south some more on State Line Road. I originally mapped out my route to totally encircle LaCygne Lake, but I ended up cutting the ride short, and just clipped the upper end of the lake. The ride southward turned into a slog. A combination of a stiff headwind, freshly-graveled roads, more traffic than I expected, and some saddle issues caused me to me to not particularly enjoy this part of the ride. That doesn’t happen to me very often, but it did on this day, and I was happy to take the shortcut on 399th Street. 399th wasn’t much better for a mile or so, then the road dropped into a nice long curvy downhill to the lake, and suddenly, it was fun again! 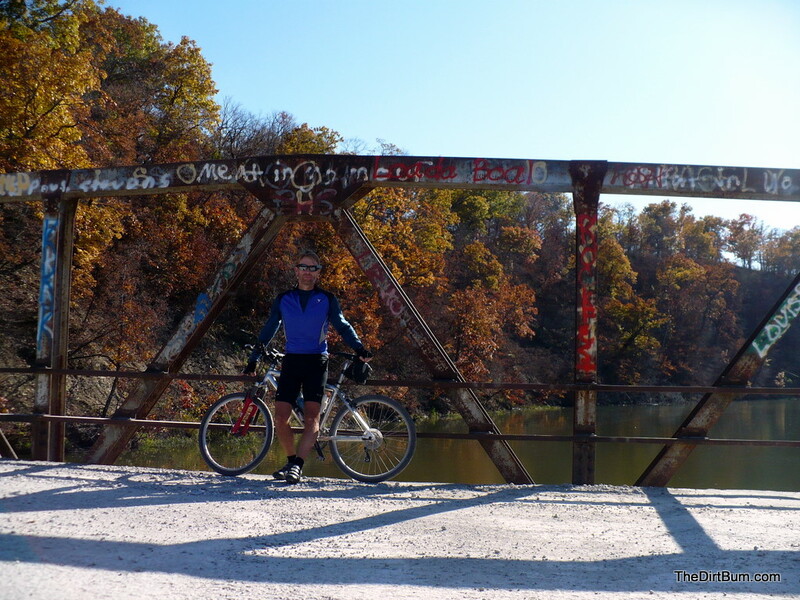 I messed around a little at a neat old bridge crossing the lake, then headed north. Within a mile or so I took another detour, heading off-road onto what was apparently a backwoods road that quickly turned from doubletrack into barely-visible track, but it was fun and scenic as the trail wrapped around a hill and passed between a heavily-wooded bluff and a creek. 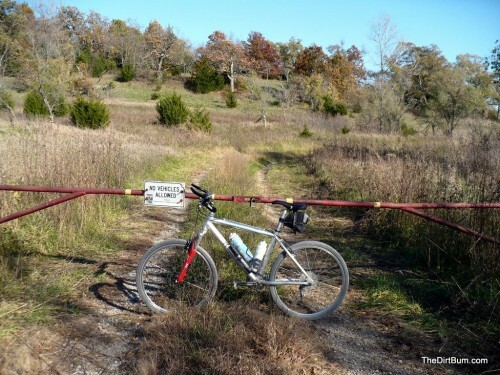 On the way back up the trail, I flatted — my first one in several months! I never did find the cause of the flat, but patched the tube and was on my way. The trip back north to Rutlader was nicer than the trip south, due primarily to the tailwind, but also to smoother roads and very light traffic. I pulled into Rutlader after only about 26 miles, but I was glad to be finished. I definitely want to go back and explore the LaCygne Lake area some more. What I saw of it looked very promising! 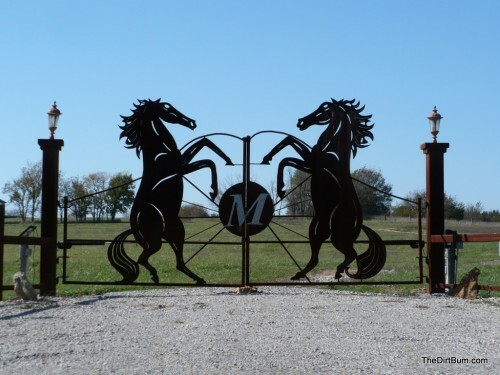 A fancy gate on a farm on Cold Water Road near Drexel, MO. This is a nice old bridge crossing LaCygne Lake. Too bad about all the graffiti.